We’re gearing up to add some new data live to the site, but we need your help. We’re currently showing images of the region dubbed ‘Ithaca’ from Season 1. We’d like to start showing images from another target area of interest. To do that, we need to make some room. 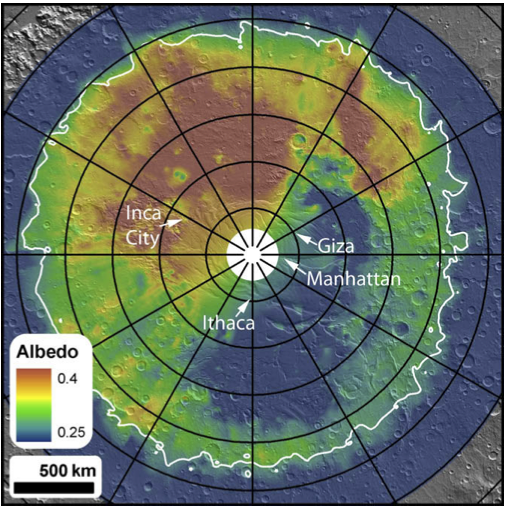 So let’s make the big push this week to classify Ithaca images, so that next week we can add Season 1 images of the area nicknamed ‘Giza’ by the HiRISE team. Below is a map to give you a sense of where Giza is compared to the other targets of interest in Season 1 that we’ve been focusing on previously.